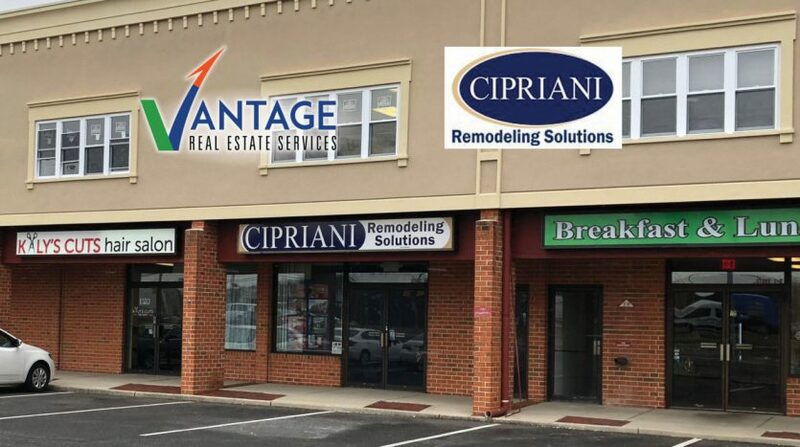 Vantage Real Estate Services is pleased to announce the successful lease of a retail store with Cipriani Remodeling Solutions in the Ellipse Shopping Center located at 4201 Church Road, Mount Laurel, NJ. Cipriani Remodeling Solutions, joins Good Foods To Go, Certa Pro Painters, Kaly’s Cuts and others in the two-story mixed-use (retail/office) plaza. Ken Richardson, Sales Associate, and Emily Stein, Director of Healthcare Services, were instrumental in negotiating and securing this tenant. Cipriani Remodeling Solutions is an ideal co-tenant for the center. Cipriani is a full-service design/build home remodeling company that specializes in designing and building kitchens, bathrooms, additions and whole home remodeling projects in South Jersey. In business since 1978, Cipriani is headquartered in Woodbury, NJ. Their new showroom in Mount Laurel allows customers in neighboring locations to access their design services, thus expanding their reach. “We had been searching for a new location for a satellite office for a couple of months before we gave Ken & Emily at Vantage RES a call” states Bob Buchan, Marketing Director, Cirpiani Remodeling Solutions. “Once we engaged their services, we found them to be very professional and helpful in working with us to secure our current lease at the Ellipse Shopping Center in Mt. Laurel. We are very happy with our new location and appreciate the work Ken & Emily did for us. We look forward to many years of success here”. 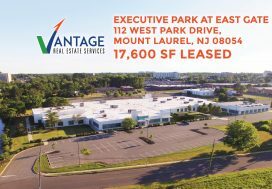 Vantage RES specializes in all aspects of commercial real estate including: Landlord Representation, Tenant Representation, Healthcare Real Estate Services, Investment Sales and Acquisitions, Land Sales and Development, Property Management, Property Valuations and Advisory. Contact us for more information.